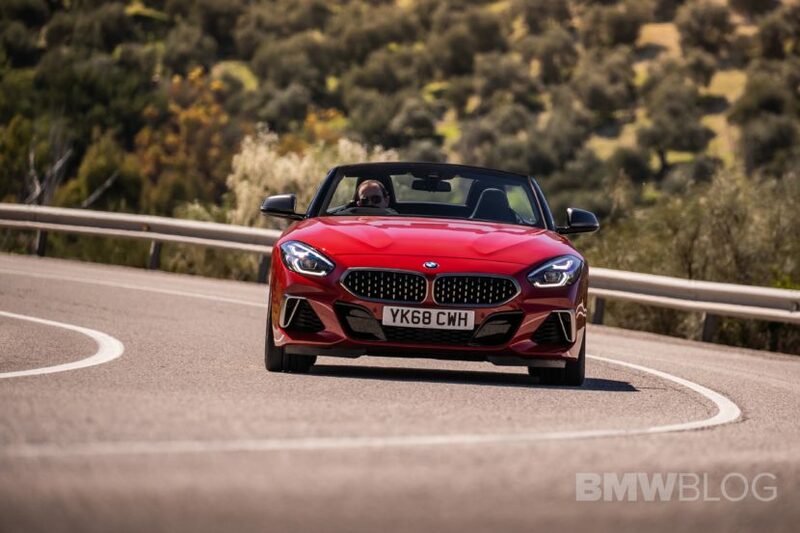 The iconic BMW Z4 Roadster gets another life with the latest generation G29. Unveiled in Sumer of 2018 and it’s now getting ready to arrive on American soil. In the US, customers are limited to just two choices: the sDrive30i and the M40i model, and naturally, the six-cylinder engine one will be the most exciting model. 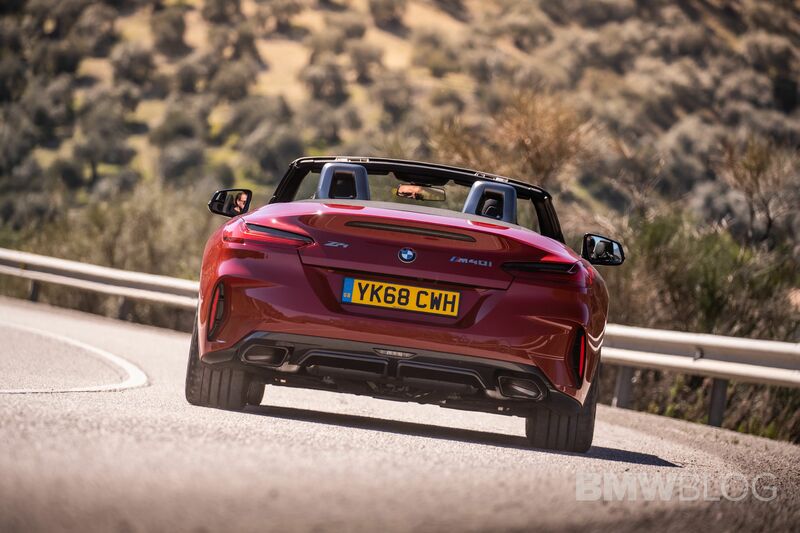 It’s also no secret that the new BMW Z4 and the Toyota Supra are siblings. They’re both built on a chassis developed in-joint by both BMW and Toyota. Though, it seems that there’s a lot of BMW in both cars, most specifically the engine. 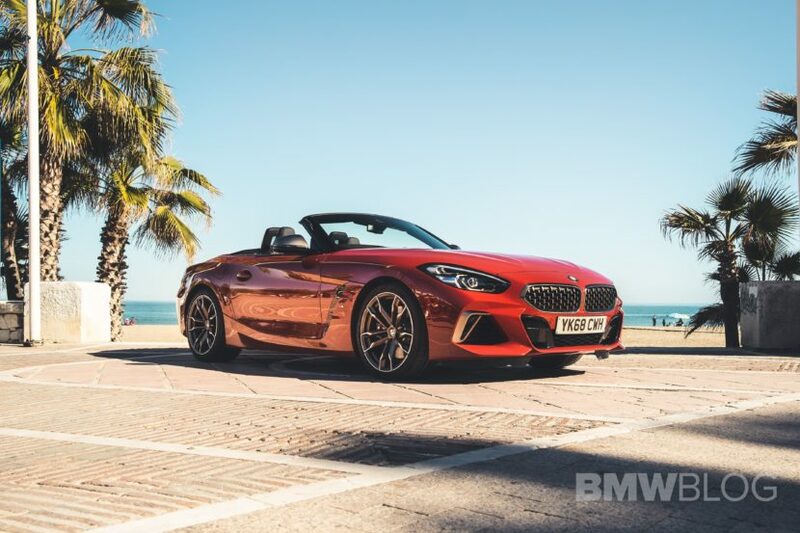 The Z4 shown here is a right-hand drive model in the M40i configuration – for the UK market – and in the stunning San Francisco Red color. The Z4 also features a number of options from BMW’s Individual program of exclusive colors and materials, including a Frozen Orange Metallic paint as seen on the Z4 First Edition. Other colors available for the Z4 are Alpine White, Mediterranean Blue Metallic, Mineral White Metallic, Glacier Silver Metallic and Black Sapphire Metallic. The engine in the M40i model is BMW’s brilliant B58, which in the Z4 M40i makes 382 hp and 369 lb-ft of torque. BMW claims a 0-60 mph time of 4.4 seconds, though we reckon it will be quicker than that as BMW times are always criminally underrated. Paired with the punchy B58 engine is a ZF-sourced eight-speed automatic that routes power to only the rear wheels in the M40i version. It also has an electronically-controlled limited-slip rear differential as standard equipment. 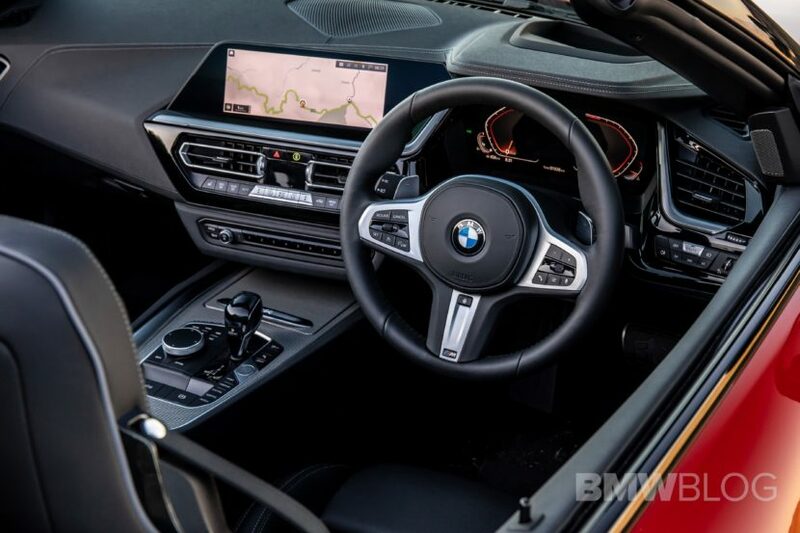 The interior choices include both SensaTec and Vernasca leather with a special Vernasca/Alcantara upholstery available for M Sport vehicles. The soft-top roof comes in Black as standard and Anthracite with silver effect as an option. The new 2019 Z4 will start at $50,695 for the 30i. The Z4 M40i will follow later this year with a base price of $64,695. That’s a lot of money for a non-M BMW sports car but it does come heavily loaded as-standard. 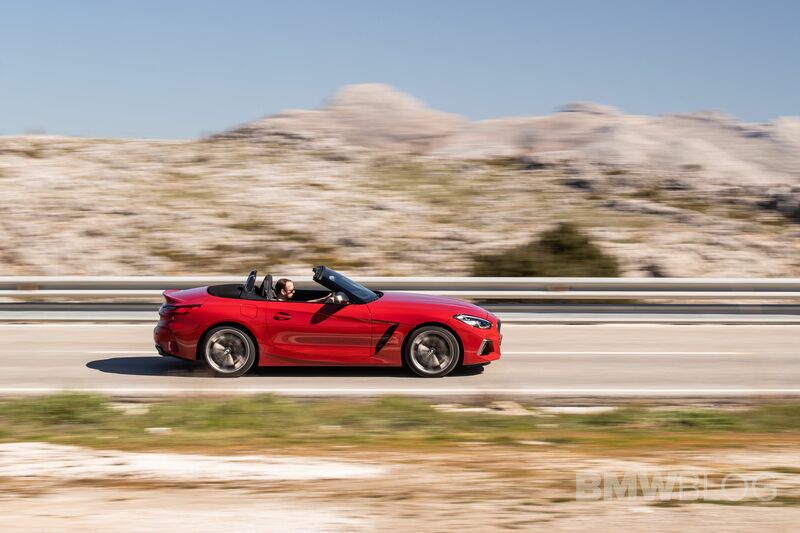 For instance, included in that $65k, the BMW Z4 M40i comes with an M Sport Differential, Variable Sport Steering, adaptive dampers, 18-inch wheels, LED headlights, heated seats and steering wheel, and even Apple CarPlay.